REPRESENTATIVES of Marriott Hotels for Leisure and Business Travel, one of the world’s largest hotel chains, are in Victoria Falls this week after signing a $500 million deal to develop an exclusive hotel and a riverside lodge in the resort town. The visit was revealed by Mr Aaron Chinhara, the managing director of Glow Petroleum and partner in the proposed investment. He was speaking in Shurugwi on the sidelines of the official opening of a $2 million service station, the Great Dyke Centre, along the Shurugwi-Zvishavane Road recently. Business sources in the resort town yesterday confirmed the presence of the Marriott delegates who were said to be busy in closed door meetings. Zimbabwe’s tourism sector is poised for growth amid indications that the Marriot family, one of the richest families in the United States, had signed an MoU for the investment in two leisure centres worth $500 million in Victoria Falls. Mr Chinhara said representatives of the Marriott Hotels for Leisure and Business Travel will be in the resort town for a two-day visit to work on the action plan for the investment. “We have a half billion investment that is coming to Victoria Falls. We are starting construction in 2020 and expect to finish it in 2022. 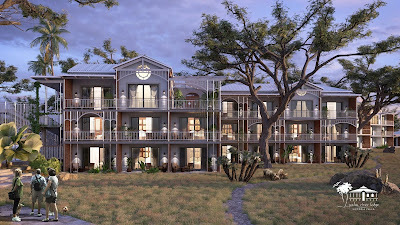 We are building what is called a boutique hotel in Victoria Falls. It will be the first concept we are putting up in Zimbabwe. It will be a hotel for those with full pockets, and to do that you need proper investment partners. We have invited and have signed a deal with the Marriott Hotels and Resorts. They are jetting into Victoria Falls on Monday,” he said. Mr Chinhara said without unnecessary red tape and corrupt elements, the country would attract many investors. He, however, said if the proposed investment faces any challenges, he would seek the support of President Mnangagwa. “We have a problem of corrupt people from councils to even higher offices but I tell you that I will take the fight to President Mnangagwa. I have people in Government who are even against this half a billion investment, but this project will take off and will be a game changer for the tourism sector because it will be a tourist attraction. We need to do away with bottlenecks and corrupt officials,” he said. According to Forbes magazine, the Marriott family network was worth $6,5 billion in 2015 and they were on number 42 on the list of America’s richest families. The family shifted into the hotel business in 1957, opening the world’s first motor hotel in Arlington, Virginia. 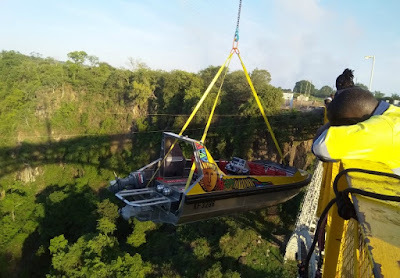 SHEARWATER Adventures and Chikopokopo Tour Operators in Victoria Falls have dispatched two six-seater long-range helicopters and water rafters to cyclone-ravaged Chimanimani to help in rescue operations. The Airforce of Zimbabwe and other private players are also on the ground conducting search and rescue operations in the area. Shearwater Adventures spokesperson Clement Mukwasi yesterday confirmed the development, adding that tourism players in the resort town came together to aid in the rescue operations. "Yes, it's true we have dispatched two six-seater helicopters with pilots and engineers and a number of water rafters to Chimanimani to help in the rescue operations of the victims of Cyclone Idai. The helicopters are long-range copters that started work yesterday [Wednesday] and will be based there for a week. On top of that we have also dispatched 15 rafters and a Kayaker [canoe paddler] to rescue marooned victims and retrieve bodies if any. Currently there are now eight helicopters doing the rescue operations," he said. One hundred and thirty-nine people have been confirmed dead, while hundreds more are missing. In a related development, Midlands Provincial Affairs minister, Larry Mavhima on Wednesday said the province had received donations worth over $260 000 in cash and kind for Cyclone Idai victims in the Chirumanzu and Mvuma areas. "I am happy to note that after launching the initiative yesterday (Tuesday), we have received donations in cash and kind to the tune of over $260 000 and more is coming since we have a lot of pledges from individuals and the corporate world," Mavhima said in Gweru. LUSAKA, March 13 (Xinhua) -- The Zambian government said on Wednesday that it would engage the South African government if some tour operators in that country continued to market the Victoria Falls as being in South Africa. 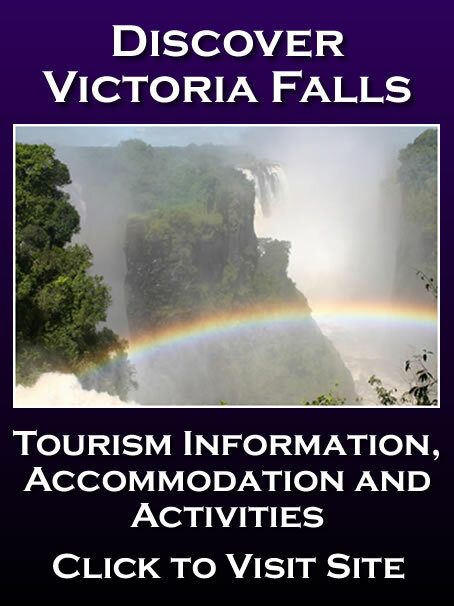 Howard Skiwela, Permanent Secretary in the Ministry of Tourism and Arts, said the government will be left with no choice but to involve the Ministry of Foreign Affairs to engage South Africa on a government-to-government level over continued claims by some tour operators that the Victoria Falls was in South Africa. The tourist attraction is situated on the border between Zambia and Zimbabwe. The official told reporters during a press briefing that such incorrect marketing by some foreign tour operators has negatively affected tourist inflows into Zambia. 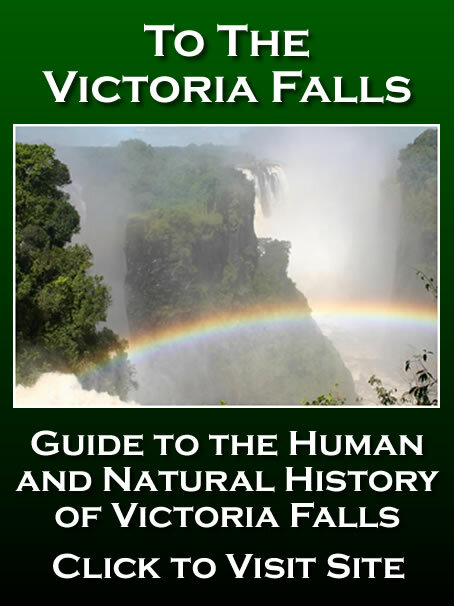 He has since directed the country's tourism marketing agency, the Zambia Tourism Board, to extensively start marketing the Victoria Falls in order to dismiss the wrong notion. Meanwhile, Zambia has partnered with Ireland to include the Victoria Falls in the Global Greening Initiative for the first time on March 15 and 17 this year. 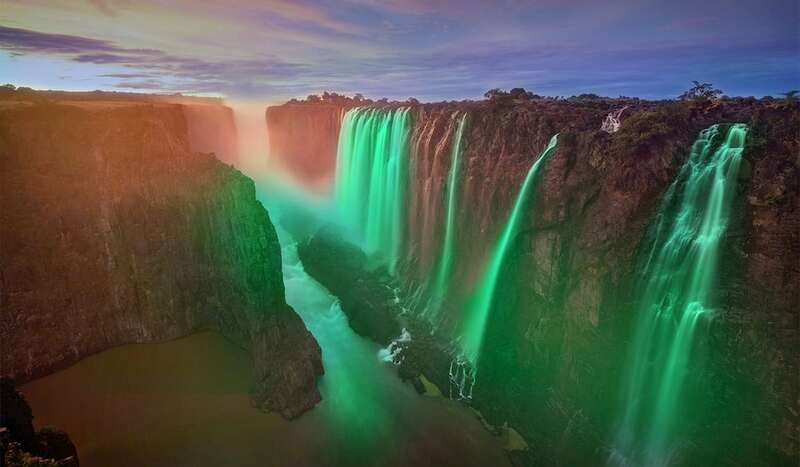 The Zambian government official said the initiative, which will see the Victoria Falls illuminated in green color, will go a long way in giving the Victoria Falls maximum exposure. On 15-17 March 2019, Victoria Falls will be illuminated in green to celebrate the Irish festival of Saint Patrick. St. Patrick is the Patron Saint of Ireland and is credited with bringing Christianity to the country in the early Fifth Century. His life is celebrated on the 17th of March each year, and this celebration has become the National Day of Ireland and the most important festival in the country. The “Greening” of Victoria Falls is another example of the close and friendly relationship between Zambia and Ireland. For Ireland, the colour green symbolizes St. Patrick and also the Irish people. Since 2010, Ireland has been running an initiative called the “Global Greening”. In 2018, over 300 landmarks in 50 countries were illuminated in Green- this included the Freedom Statue on Independence Avenue. This year, the Embassy of Ireland, in cooperation with the National Heritage and Conservation Commission,will include Victoria Falls in the Global Greening initiative for the first time on 15-17 March 2019. Victoria Falls is the centre piece of this year’s landmarks, and its greening has already received extensive coverage in the Irish media. At the launch by the Irish Minister for Tourism, Shane Ross and the Chief Executive of Tourism Ireland, Niall Gibbons for this year’s campaign, the Victoria Falls were highlighted as the outstanding addition to the Global Greening. 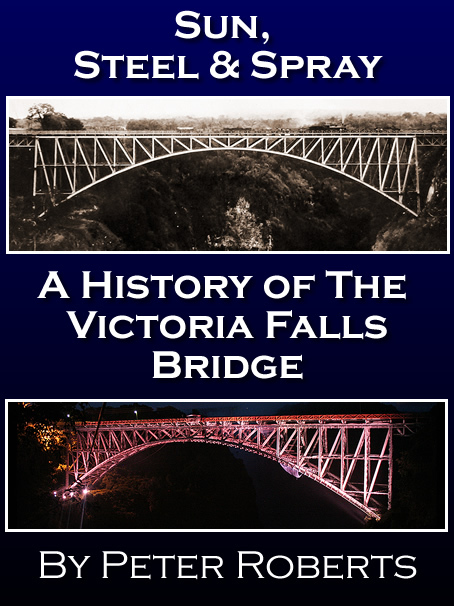 An image of Victoria Falls was displayed during the official launch boosting, selected above other confirmed greenings such as the Colosseum of Rome, Niagara Falls, the Christ the Redeemer statue of Rio de Janeiro or the Sydney Opera House. A US$1.5 million lodge, Shongwe Lookout has been opened in the heart of the Zambezi Valley's star tourism attraction Victoria Falls. The 23-bedroom lodge, located in the suburbs, was funded by a mix of local and international investors. Jamie Henson, the lodge manager, is a Zimbabwean who has lived in New Zealand for the past 17 years. He says he and his family were lured back by the opportunities in tourism. "We were looking at the statistics on tourist numbers in Victoria Falls, and realized there is a very positive future here." Henson arrived in Zimbabwe just before the currency crash last year and said thanks to good management the lodge is still on track to take its first guests from June 1 this year. "So far the response from travel agents has been fantastic. 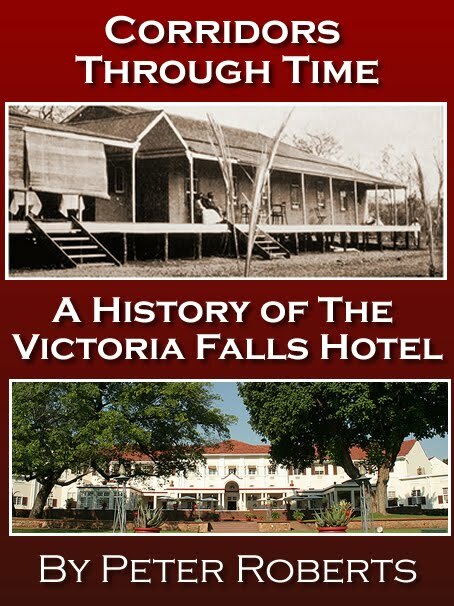 They love the concept of what we are doing and say they simply do not have enough accommodation in Victoria Falls at present." Henson said Shongwe Lookout is targeted at "the more discerning traveller" looking for comfort and great value for money. The lodge will offer guests access to two platforms on a viewing tower, with vistas of the Zambezi River and spray rising from Victoria Falls, as well as a pool, restaurant area, boma area and bar. Henson said he and his wife are excited about living in Zimbabwe. "My wife is from New Zealand, so we were a bit nervous about how she would adapt. But, so far, we are both loving it. There is so much happening around Victoria Falls, so many young people like us with a passion to make the town the best it can be. "It's a really positive place to be." Zimbabwe's Tourism has been projected to reach 15 and 20 percent in the next two years. The tourism industry recorded growth of 7 percent in the first nine months of the 2018 a performance which almost equalled record levels of the late 90s. The country was recently named one of the best countries in the world to visit in Lonely Planet's Best in Travel for 2019. The $13 million Sawanga Shopping Mall project, which is expected to change the face of the country’s tourism capital, Victoria Falls is now 95% complete with the official commissioning scheduled for early next month. 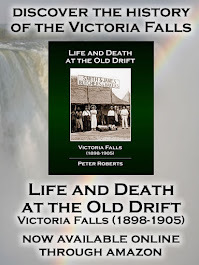 Named after Chief Sawanga, one of the three sons of Rozvi Changamire, the multi-million dollar property is set to enhance the attractiveness of Victoria Falls as a regional tourism hub. The $13 million project is nearing completion with most of the tenants currently working on the fittings, while the anchor tenant, Pick’n’Pay is set to open its doors by the end of March. 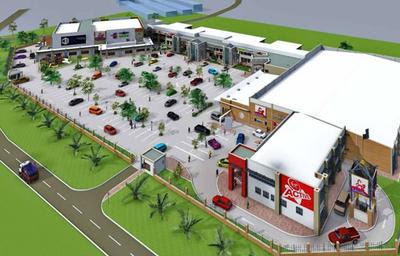 Sawanga Shopping Mall Project Manager, Eng Allen Mutede said the project is 95% complete. “We are excited that substantial work has been covered and I can safely say that we are about 95% complete. The contractor is currently working on the final touches ahead of the commissioning of the project, while most of the tenants expected to open their doors to the public by mid-April. ,” he said. The shopping mall consists of 23 shops, banks, concept houses, food courts, restaurants, coffee shops, a service station and curio shops. According to ZIMRE Properties Investment, about 95% of the space has already been taken up. The continued growth of the tourism sector as evidenced by the surge in arrivals has seen growing calls for more investments in relevant properties in order to cope with the projected demand for services. Shearwater Adventures Group has added a high adrenaline activity to Victoria Falls’ amusement scene with the launch of a jet boat on the Zambezi River. This comes at a time the resort town was enjoying renewed interest from the international market. A jet boat is a boat propelled by a jet engine fitted to its back and is a type of cruise that sails downstream on the rapids and fast flowing water underneath the Victoria Falls Bridge. After cracking heads over a jet boat that disappeared more than a decade ago while docking at night on the river bank, the country’s leading tour operator has come up with an aluminum 14-seater boat propelled by a 435 Volvo engine fitted with an auxiliary motor for back-up. It uses 80 litres of diesel per hour and that together with its net mass of close to three tonnes, makes it heavy enough to oppose the current when sailing upstream, Shearwater engineers said. The boat was made in Cape Town at a cost of half a million dollars. It was launched Saturday morning when it was lowered down the bridge by a crane. “We spent two years designing this in Cape Town where it was tested before being transported here where it was tested again on the upper Zambezi,” Shearwater general manager for the jet company Garth Fowler told journalists at the launch event. He said clients will be assured of safety. “It will operate below the bridge from the boiling pot from rapid 1 to 4 adding to adrenalin rushing activities in Victoria Falls. “The boat will go through a rigorous testing and safety process for two weeks to ensure it’s safe for clients. We have done as much as we can to make sure it’s designed well and we are confident it’s going to work this time. “The previous boat was not specifically designed for this environment but this one is perfectly made for this environment,” added Fowler who was also part of the manufacturing process for the boat. Fowler said it took eight months to make the actual boat while the whole process of designing it took two years as the company sought to ensure safety. Clients will pay around US$100 for a single trip which will for between 30 and 45 minutes. Just like rafting, jet boat sailing will be determined by water level. Other high adrenalin activities on the Zambezi River include bungee jumping, gorge swing and rafting. 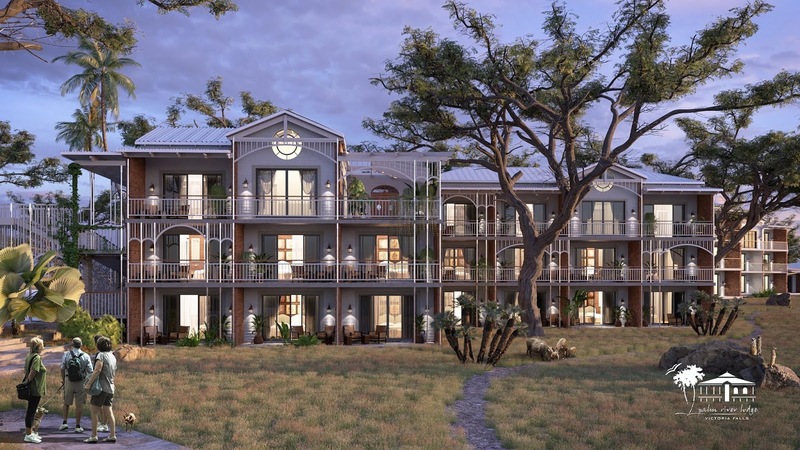 Ilala Lodge Hotel Group has commenced construction of a new luxury hotel on the banks of the Zambezi River, Victoria Falls, following a Ground-breaking Ceremony held last week. The 4-star luxury hotel will be named the Palm River Lodge and marks a significant expansion to the Ilala Lodge Hotel Group. Welcoming the construction of the Palm River Lodge, were honorary members of council, including the Honorable Minister of State for Provincial Affairs, Matabeleland North Province, Honorable CDE. Richard Moyo and the Mayor of the Municipality of Victoria Falls, Cllr Dhlamini. The hotel will present two unique dining experiences, including indoor á la carte fine-dining and outdoor dining on the banks of the Zambezi River. Guests may also delight in luxury river cruises on board the Ra-Ikane River Cruise, owned by the Ilala Lodge Hotel Group. The shortage of land is undermining efforts by the Zimbabwe Revenue Authority (Zimra) to implement the on-stop-border border post concept at Victoria Falls, it has emerged. entry with Chirundu border on the boundary with Zambia the only facility so far completed. The programme involves expansion of Victoria Falls, Kazungula, Plumtree, Forbes and Beitbridge border posts to enhance efficiency and improve trade by reducing time spent by travellers and cargo at the borders. However, Zimra commissioner general Faith Mazani said there is no land for expansion of the Victoria Falls border. "We do want to facilitate the one-stop border in Victoria Falls but we are restricted by the fact that this is a tourist area," she said. "There is the game park, the river and railway line and we are looking at opportunity from local government where we can build our commercial facility to ensure that we live up to the smart border concept." Meanwhile, Zimra has adopted use of information communication technology systems and other innovative products at border posts to enhance efficiency. "I am proud to intimate to you that the Electronic Temporary Import Permit project (e-TIP) has been so successful in dealing with the issue of border congestion at Beitbridge Border Post during this past festive season," said the Zimra boss. "The project allowed travellers to pre-clear their vehicles online thereby reducing the congestion which often worked as a bottleneck to our travellers and tourists. "We are now working at improving the e-TIP system so that visitors will spend an average of between 3 to 5 minutes to get their temporary import permits processed." Zimbabwe and Zambia have offered 2,000 and 132 hectares of land respectively around the Victoria Falls area── which borders the two countries── for the construction of the Wakanda One Village. The project will serve as the first of the project in the Southern African region and will comprise a 100-bed teaching hospital, a university and technical college, primary and secondary schools, day-care centres, three five-star hotels, game lodge, pharmaceutical manufacturing plant, agricultural farms and parks. The infrastructure will also include a shopping centre, commercial office buildings, renewable power plants, a monorail around the complex and roads ready to support self-driving electric cars. Zambia made its offer in March and Zimbabwe’s offer was confirmed by African Union Ambassador to the United States of America Dr. Arikana Chihombori-Quao at the recently held Intra African Trade Fair in Cairo, Egypt. “I met His Excellency President Mnangagwa recently and he offered us 2000 hectares for the regional Wakanda One Village in Victoria Falls. The offer comes after the Zambian Government offered some land across the river in Livingstone. We are looking at building a village transcending the borders of the two countries,” she told Zimbabwean journalist Sydney Kawadza in an interview. “We are looking at raising at least US$2 billion in the next two years with the first ground breaking set for the end of the year 2020 … We are going to build the Africa that we want so those Diasporans who say I cannot go home because home is not what I am used to will make it what they want,” she added. Dr. Chihombori-Quao also revealed that Kenya and Tanzania have also pledged land for East Africa’s Wakanda One Village project.